Shot at Tea Trails, Sri Lanka. Best seen in Xlarge size. They are small passerine birds & there are 132 species in 15 genera. The family is distributed throughout Africa, southern Asia and just reaches northern Australia. 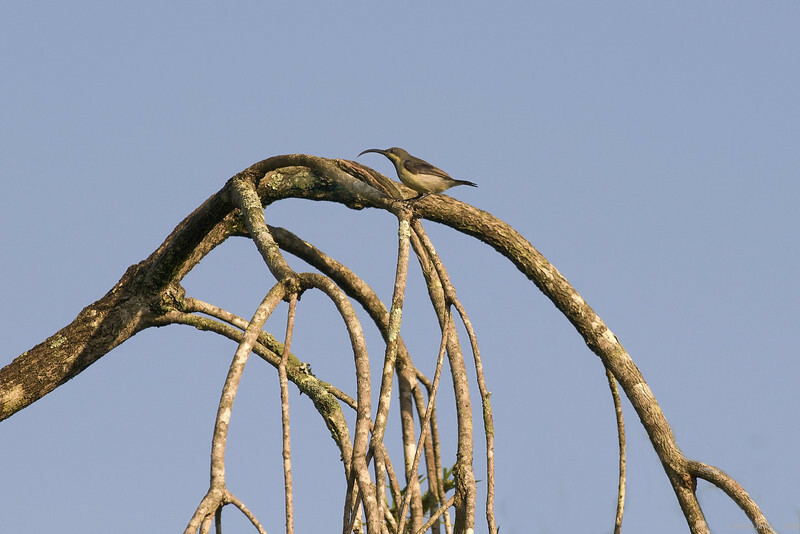 Most sunbirds feed largely on nectar, although they will also take insects, especially when feeding young. Fruit is also part of the diet of some species. Their flight is fast and direct on their short wings. What a wonderful bird, great capture! What an interesting beak. Super capture. The curve of the branches and the curve of the beak work together really well. Wow what a beak on this one. Super capture. Wow, this is wonderful...I love how the bird's beak echoes the shape of the branches. Nice. Wonderful! Never seen one of these. Great capture! Beautiful capture. What an amazing beak! Thanks for the info too.